There is growing recognition that improving a product’s resistance to staining and soiling can greatly enhance its appeal, both to consumers and to commercial users. This applies to a wide variety of hard surfaces including porous stone, concrete and tile, as well as construction materials such as paints, caulks and grout. Whether the application is a backyard patio or a bustling auto repair garage, end users require effective, durable treatments that will stand up to long-term use, repeated cleaning and, in many cases, exposure to the elements. With such a diverse range of applications there is no “one-size-fits-all” solution for achieving desired levels of stain protection. Formulators need to consider which type of base material, concentration, and solvent or solvent mixture would be most suitable for their required application. And in many cases they must balance these considerations with environmental and regulatory concerns that could affect long-term supply. Relatively novel and evolving approach to stain protection that attempts to satisfy these requirements for a wide variety of surfaces and materials. This article considers a range of stain-resistant additives and sealers based on short chain C4, or perfluorobutane sulfonate (PFBS), technology. These products aim to offer long-term protection from water- and oil-based stains, with less environmental impact and less change to surface appearance and texture than some alternative treatments, including some silicone-based treatments. A series of controlled tests indicated that these products provide significant levels of stain protection with good durability and weathering, and that the level of protection can be further improved by optimizing the chemical concentration and solvent or solvent mixture for a given application. In the first set of tests, a range of PFBS-based additives manufactured by 3M were diluted using a solvent or water to form a penetrating sealer for porous surfaces. In subsequent tests, these products were used as additives to enhance the performance of existing commercial resinbased coating systems. Finally, various formulations were tested for durability and outdoor weathering. All five products tested (indicated by their commercial designations SRC-220 and SRA-250, 270, 450 and 451) are polymeric materials based on perfluorobutane sulfamido, alcohol and acrylate, with physical compositions ranging from polyurethane dispersion to acrylic emulsion to solvent-based acrylate solutions (Table 1). Water-based sealers can be formulated simply by diluting SRC-220, SRA-250 or SRA-270 with DI water to a concentration 2-4% active solid. A small amount of coalescence solvent such as dipropylene glycol monoalkyl ether can help improve stain resistance by increasing sealer penetration.Optionally, a water-based silane or siloxane can be used in combination with these products. For solvent-based sealer formulations, SRA-450 is designed to be diluted with polar solvents such as esters, ketones, alcohols and ethers, while SRA-451 is designed to be used with nonpolar solvents such as mineral spirits and other hydrocarbons. In both cases, the recommended additive level after dilution is 2-4% active solid. In the first set of tests, samples of various tile materials were brushed with a range of formulas containing 3% active sealer and allowed to dry for at least 24 hrs. Coverage ranged from approximately 3.7 sq. meters per liter for concrete and Saltillo to 12.3 sq. meters per liter for marble and granite. The treated tiles were then tested against a range of water- and oil-based staining agents including red wine, coffee, soy sauce, grape juice, cola, dirty motor oil (DMO), transmission fluid (TF), corn oil and mustard. A 0.10 milliliter drop of each staining agent was applied to the treated tiles, as well as an untreated control sample, and allowed to set for 24 hrs. The tiles were then wiped with a paper towel and cleaned with a sponge and tap water. After drying under ambient conditions, each tile was visually inspected and rated from 0 to 5 based on the following scale: 0 = no visible stain; 1 = trace of visible stain; 2 = outline of stain barely visible; 3 = outline of stain visible; 4 = dark outline of stain; 5 = dark stain had penetrated before cleaning. The performance of each formula for a given surface was gauged by summing its score for each staining agent, yielding a total stain score. Tables 2-4 show the results for each surface, with a lower total score indicating better stain resistance. Each formula contained a Concentration of 3% active solid, and the dilution solvent was water unless otherwise noted. Several formulations were also tested on granite, providing the visual comparison of the effects of various agents on treated versus untreated surfaces shown in Figure 1. A second primary application of these additives is to enhance the performance of existing resin technologies – especially in terms of oil repellency and stain resistance.Certain water-based additives can be used with waterborne resin systems in applications including acrylic concrete sealers and coatings, urethane- and epoxy-based concrete coatings, acrylic- and urethanebased wood coatings, and acrylic-based architecture paint formulations. The recommended additive level is generally 0.2-2.0%. When used as an additive in such applications, the fluorochemical additive can help enhance water and oil repellency by migrating to the surface and lowering its surface energy. Table 5 compares the water and hexadecane contact angles of several commercial coating systems with and without a water-based fluorochemical additive. It was shown that the contact angles were significantly higher after the addition of the additive, indicating greater repellency. Similarly, certain solvent-based additives can be used to enhance the performance of solventborne resin systems.In one notable application, the additives can be used to enhance the water and oil repellency of silane formulations. Table 6 shows the significantly improved contact angles obtained by using a solvent-based fluorochemical additive with three common silanes on a concrete surface. It was also found that contact angles can be further improved with the use of nonpolar solvents such as mineral spirits. A visual illustration of the increased stain resistance and repellency obtained by using these solvent-based additives in conjunction with a hydrocarbon silane formulation can be seen in Figure 2. • Re-test staining using same procedure as above. Table 7 compares the contact angles and stain resistance of the scrubbed and unscrubbed sections of the treated limestone tile. Even after being subjected to rigorous scrubbing, the treated tile showed only slightly diminished stain resistance. Similar testing was conducted using the other additives. Among the tested additives, only SRC-220 demonstrated a reaction in UV stabilizer and light stabilizer. Outdoor testing was conducted to measure its resistance to actual weathering.Limestone tiles treated with SRC-220 were exposed for periods of 6, 12, 18 and 24 months in various locations (Miami, FL; Phoenix, AZ; Cottage Grove, MN.) The exposed tiles were then retested and compared to treated tiles that were not exposed to weathering. The results showed that coating performance was impacted by outdoor weathering to various degrees depending on the period of time and angle of exposure, with the least performance loss found at 90 degrees (vertical). However, in most cases good performance was still observed. In general, one year of good performance was retained on horizontal surfaces and two years on vertical surfaces. However, these weathering results should only be used as a reference. Real-world performance can vary depending on coating thickness and formulation – including the presence of resins and concentration of active solids – as well as climate and level of exposure. Fluoropolymer-based stain-resistant additives offer broad applicability depending on their specific chemistry and formulation.In two major applications – as a penetrating sealer for porous surfaces and as an additive for resin systems and silanes – these products demonstrated significant improvements to stain resistance and water and oil repellency, with generally good retention of performance through repeated cleaning and extended weathering.As such, they can be considered as a stain-protection solution for a wide range of surfaces and environments. 3M and Scotch-Brite are trademarks of 3M Company and all other trademarks are property of their respective owners. Download the PCI article here. Click here to view article from original source. The global microspheres market is expected to reach $5.52 billion by 2020, growing at a compound annual growth rate (CAGR) of 10.5%, according to a recent report from Technavio. North America is the biggest market for microspheres, as the materials offer better process control and enhance the efficiency of operations. The U.S. is the top consumer of all types of microspheres products in North America. Though the market in North America is significant, it is still growing at a good pace because of the increase in demand of current and emerging applications such as construction composites, biotechnology, and medicine. Europe accounted for about 29% of the global microspheres market in 2015. The microspheres market in Europe generated revenues of $970 million in 2015 and will likely reach $1.58 billion by 2020. The major applications of microspheres in Europe are in the manufacturing and medical industry. Germany is the leading country for microsphere consumption in Europe. The microspheres market in Russia is anticipated to experience high growth during the forecast period. The microspheres market is experiencing a boom, especially in India and other emerging economies in the Asia-Pacific market, due to massive spending on infrastructure and the flourishing manufacturing industry. The high demand is primarily for the development and modernization of infrastructure and in existing and emerging applications in the construction sectors. Technavio expects the demand from manufacturing and medical industries for microspheres in the emerging economies in Asia-Pacific to bode well for the market. Australia, China and India are the major revenue contributors to the market in APAC. The microspheres market is in its infancy stage in Central and South America. This region is experiencing high growth due to increased infrastructure spending and low base effect. Central and South America offer significant prospects for manufacturers establishing their manufacturing bases and sales offices because of the regions’ flourishing oil and gas industries. “Construction composites hold the majority of the share in the microspheres market in Africa, Central and South America, and the Middle East, while the medical technology markets have been experiencing maximum growth,” said Jaganathan. Four manufacturing processes have gained industrial significance worldwide for the production of iron oxide red pigments. The two most important processes for the production of red iron oxide pigments, in terms of volumes, are the Laux process and the Penniman process, which together account for more than 90% of the worldwide demand for synthetic red iron oxides. However, the pigment properties and environmental impact of the two processes differ significantly. Pigments from the Laux process offer a wide color range with particular strengths in medium and bluish red color shades. The relatively hard consistency of the primary Laux particles has its most positive effect in grades with large particle diameters. Furthermore, the pigment formation via a calcination step leads to good milling stability, particularly in bright reds with particle sizes lower than 0.4 µm. Coloristic properties are not only determined by particle size but also by the morphology of a pigment, which differs due to different manufacturing processes. Thus it is possible to manufacture very bright red pigments with yellow undertone, exemplified by the Penniman process. The traditional manufacturing process for iron oxide red using the Penniman route is considered particularly challenging due to the formation of gaseous nitrogen oxides and water-soluble nitrate and ammonium compounds in the wastewater (Figure 1). LANXESS has proven that the conventional Penniman reaction process gives rise to the formation of significant amounts of laughing gas (nitrous oxide, N2O). Nitrous oxide accounts for 5-6% of the total global emissions of greenhouse gases and is produced by 500-600 companies around the world. It occurs mainly as a byproduct of the manufacture of nitric acid and has an almost 300 times higher climate impact than CO2. As part of the World Climate Summit held in Paris at the end of 2015, the German Federal Environment Ministry proposed an initiative that by 2020 global nitrous oxide emissions should be eliminated by the use of efficient catalyst technology. LANXESS took on the challenge and developed and implemented the Ningbo process in its new production plant in China to manufacture bright iron oxide reds in a sustainable way (Figure 2). This production process recycles emitted gases, including nitrous oxide, by using a complete catalytic decomposition of N2O to form naturally occurring nitrogen, oxygen and water. This results in a reduction of over 70% CO2 equivalents, relative to conventional Penniman red technology. Furthermore, using a multistage wastewater treatment process, more than 80% of the wastewater is cleaned and recycled back into the process. The remaining 20% of the wastewater is virtually free of nitrates and only contains dissolved sulphate, which can be re-used in the process. It is worth stressing that conventional Penniman producers still continue to emit the greenhouse gas N2O unrecycled directly into the environment. In the most modern iron oxide production plant located in Ningbo, China, approximately 25,000 tons of bright, yellow-shade red pigments will be synthesized and are likely to be of particular interest for paint and coating applications. These “New Red” pigments will be marketed in the future under the Bayferrox brand. Table 1 summarizes some technical characteristics of the New Red series. In addition to the synthesis capacity of the Ningbo facility, the plant will also have a state-of-the-art mixing and milling plant with a capacity of around 70,000 tons. By blending the synthesized red pigments it is possible to reach both new and established color shades (Figure 3). The Ningbo process is made in several steps. Primary raw materials are iron (in the form of steel), nitric acid, water (in the form of steam), ferrous sulphate and air. To achieve defined and clean color shades it is necessary to grow the pigment particles around a defined seed. Increasing the particle size around the seed leads to an optimum color saturation point, after which the pigment begins to lose chromaticity (Figure 4). Numerous factors have a direct influence on the pigment growth. In the case of bright yellow-shade red iron oxide pigments, it is possible to widen the color development curve to reach higher a* and b* color values. Furthermore, through specific measures, the build up curve can be precisely stopped at the desired color shade to enable a number of targeted color spaces to be achieved. The influencing factors are complex and need to be applied in the right way and at the right dosage. Raw material selection and the seed quality are of fundamental importance. In addition, the control of the reaction progress and the reaction conditions must also be coordinated. No single factor is decisive; a combination of different factors will result in the highest pigment quality. The iron oxide seed preparation, in particular, represents a special challenge. Only a defined particle shape and narrow particle size distribution ensure a uniform pigment growth (Figure 5). For this reason, the raw material quality is of fundamental importance. Iron scrap can contain a lot of accompanying elements. Used as a raw material for the production of iron oxides, some of these elements can have a negative influence on the coloristic properties of the pigment. Using the Ningbo process optimization, it is possible to significantly lower the amount of disruptive side elements within the crystal lattice of the final pigment. In addition to efficient reduction of waste materials, changes in the process management lead to pigments covering new color spaces that surpass all previously available iron oxide red pigments in the market. This extraordinary color development can be predicted by just looking at the pure pigment powder. The absorption of inorganic color pigments is mainly determined by their elemental composition and crystalline structure. The size of the primary pigment particles is, however, of critical importance for light diffusion. Iron oxide pigments have a relatively unsaturated color shade compared to some color pigments produced using other chemical processes. This can be explained by looking more closely at the physical boundary conditions imposed by nature. Due to the short distance between the iron ions of only 2.89 nm within the crystal lattice, the excitation in visible light triggers a d-d electron transition. In the reflection spectrum a rather flat edge with a clear and distinct shoulder is visible. The higher and steeper the reflection edge the more saturated the shade. A comparison of the spectra of a regular blue-shade red and a regular bright yellow-shade red compared to one of the new pigments from the Ningbo process is illustrated in Figure 6. The reflection curve of the pigment from the Ningbo process is clearly steeper, and this is directly related to higher chromaticity. For coloristic evaluation in final coatings systems, bright, yellow-shade iron oxide reds from various manufacturing processes were selected and compared against each other. The chromaticity values C* were determined in a long-oil alkyd system, excluding all other paint ingredients such as wetting and dispersing additives. Only then can the color development of the pure pigment be displayed. In both full shade and reduction (1:5 with TiO2), the newly developed iron oxide reds from the Ningbo process show the highest chromaticity value C*(Figure 7). It is noticeable that pigments from the different manufacturing processes do not show consistent C* values in full shade and reduction. Higher C* values in full shade often give low values in reduction and vice versa. The results illustrated for the Ningbo process were made using material from an operational trial reactor in Krefeld, Germany, which was operated according to the Ningbo process. Efficient downstream grinding technology, which increases the share of primary particles in the pigment, improves the incorporation ability into liquid systems significantly. This process is called micronization and was first introduced by Bayer in Germany in 1964, setting a new milestone for the coatings industry. The iron oxide red pigments from the Ningbo process are softer than Laux calcined pigments and therefore require an adapted form of micronization. In the milling plant in Ningbo, China, state-of-the-art grinding technology is used, whereby the particles are ground continuously to a reproducible size. It is desirable to keep the energy input in the dispersion as low as possible. In the case of the New Red series from the Ningbo process, optimum results can be achieved by using high-speed dissolvers. The quality of the dispersion is excellent and comparable with established red iron oxides from the LANXESS Bayferrox 100 M series. This can be clearly illustrated by photographic means. The white dots on the grinding gauge images represent protruding particles after 15 min dispersing with a high-speed dissolver in a long-oil alkyd system. The scaling ranges from 0 to 100 µm. Figure 8 illustrates the grind values of an iron oxide from the Ningbo process compared to a regular calcined iron oxide red. The different color spaces of iron oxide reds are due, among other things, to differences in the particle morphology and the particle size distribution. The exact color parameters cannot, however, be predicted using a direct correlation with the particle morphology or the particle size distribution. Light, yellow-shade red pigments tend to exhibit a smaller particle size and an especially narrow particle size distribution, while darker red pigments are significantly larger. Due to light scattering, the size of the primary particles exerts an influence on the chromaticity, tinting strength and opacity. The interaction between visible light in the wavelength range of 380 to 780 nm and pigment particles reaches an optimum if the particles are in the magnitude of half the wavelength of the absorbed light. In the case of red iron oxide pigments, this optimum is at a particle size of 250 to 300 nm. Smaller particles support the red value a*. Iron oxides from the Ningbo process contain a high amount of fine particles in the optimum particle size range. The determination of particle size distribution, by means of the laser diffraction method, is an indirect method that calculates the values from a formula that contains, among other things, the complex refractive index for hematite. The refractive index is not yet sufficiently defined and distinctive. Therefore, the values should only be interpreted comparatively. The measurement is related to the particle volume, i.e. larger particles are represented disproportionately. Figure 9 shows the volume-related particle size distribution of a regular calcined hematite pigment PR 101 (black curve) compared to an iron oxide from the Ningbo process (red curve). The optimum area of particles is larger, which indicates additional chromaticity. In addition to highly sustainable production, the Ningbo process provides iron oxide red pigments with exceptional coloristic behavior that exceeds any currently available iron oxide pigment in the market. This is due to process optimization, which enables a defined particle shape to be generated coupled with narrow particle size distribution and uniform pigment growth. The newly developed Bayferrox New Red pigments are characterized by excellent incorporation ability, even when using low-shear dispersing forces. The dispersibility determined on a grinding gauge is similar to the benchmark Bayferrox 100 ‘M’ micronized series. Combinations of the New Red pigments can also be used to reach the color spaces of existing, less sustainable, bright, yellow-shade reds that are currently available in the market. For more information, visit www.bayferrox.com. CLEVELAND, OH – Effective March 4, 2016 - Robert Bourne, Vice President of Sales, American Colors, Inc., is pleased to announce the appointment of Palmer Holland in the southwest and west territories. This additional coverage gives Palmer Holland a greater area to sell American Colors’ custom pigment dispersions into a wide variety of markets including CASE and plastics. The states affected by this territory expansion include Arizona, Arkansas, California, Colorado, Idaho, Kansas, Louisiana, Missouri, Montana, Nevada, New Mexico, Oklahoma, Oregon, Texas, Utah, Washington, and Wyoming. American Colors and Palmer Holland have grown together for over 25 years and built a meaningful relationship during that time. “I am very pleased that American Colors has recognized Palmer Holland as a trusted partner in their business development plans,” says Mark Riemann, Vice President of Marketing, Palmer Holland. 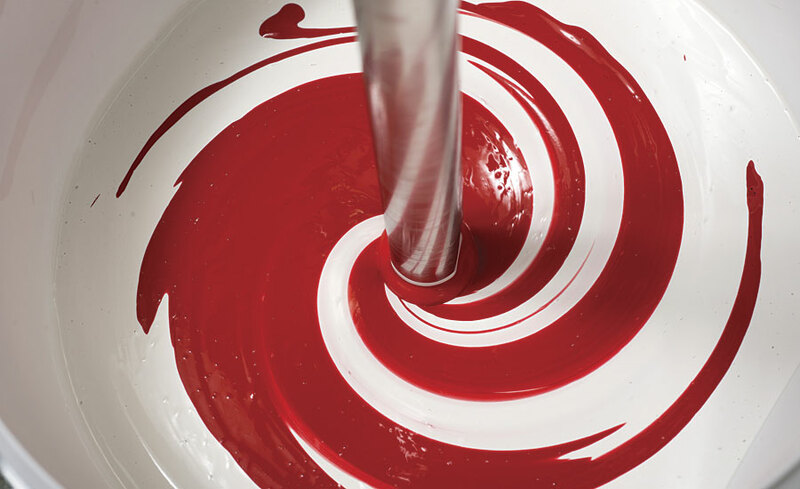 American Colors, Inc., founded in 1975 as a gelcoat manufacturer, is a diversified manufacturer of functional dispersions serving the CASE and lubricant markets. American Colors specializes in customer-focused solutions to complex coatings and colorants problems. To learn more, visit www.americancolors.com. Palmer Holland, founded in 1925, began as a technical distributor to the ink market. Since that time, we have evolved to become a national sales and marketing organization in the specialty chemical industry, serving both the CASE and lubricant markets. We provide complete solutions for the most challenging technical issues facing industries today. To learn more, visit www.palmerholland.com.